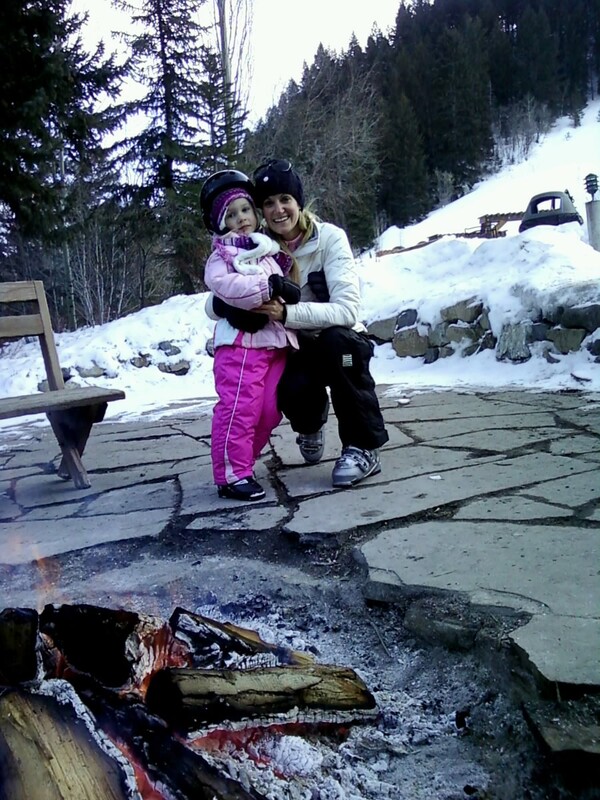 Yesterday I went skiing with my Princess. And she wasn’t too far off when she told her teacher she would probably be “better than Mom.” It was fun to see how much she has learned and how fearless she is. It was also entertaining to listen to her observations and questions. She informed me that she is better than me at skiing because I have only been skiing one other time. This observation was apparently based on the fact that she knows I haven’t been skiing since she was born and she has only seen one picture of me skiing. I cleared things up. I don’t think it made much difference in her opinion on who was the better skier though. She also asked me why my skis and ski boots aren’t “cool and pretty like Miss Cheryl’s” (her ski instructor). I didn’t really have an explanation for that. I love the Smart Wool socks that kept my toes warm. I have a lot of different running socks that I love, but none compare to my Smart Wool socks when it comes to keeping my feet warm. I have worn these in all my colder weather races and can honestly say I have never had cold feet. Kid logic is sooooooo adorable. My husband kind of dislikes that I can build easy relationships with people who might be 50 year old perverts sitting around in ratty old bathrobes or something. hahahah. ummm, my toes are cold as I type. Yep, it's 60 degrees here and my toes [in my running shoes] are frozen. Love the things kids say. And I love that picture of you too! It's great she gets to try out skiing at such a young age. I still have never been. How fun! I love Smart Wool! Sounds like a fun day skiing, even if it was only your second time ever! I love that kind of logic based on pictures! Thanks for the link on the socks. My last part of wool running socks were trashed in the March ultra so I need to get a new pair. They did such a great job keeping my feet feeling warm even through the creek crossings and snow. I never have been sking. I would love to do cross country but downhill is a little fast for me. I go slow. Shoot me your address and I'll get a sticker in the mail so we can trade! Thx for the Smart Wool socks tip! We don't have too many cold days in Houston, but there have been some days when I could have used socks that keep my toes from going numb from the cold.